use in areas protected by overhangs or awnings. Sign products and materials may vary by location. Stand out in a sea of properties with full-color real estate signs from The Sign Studio. Whether you are in a thriving metropolis or small town, the real estate market is extremely competitive. We can assist you in attracting potential home or commercial real estate buyers with an array of on-premise signage. Attract attention from down the street or around the corner with full-color open house and For Sale banners. 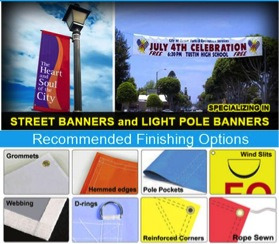 Our affordable banners come in any size you need and a variety of attention grabbing colors. Custom Banners can be hung from the front of your available property, or feather banners can easily be positioned along sidewalks and in front yards to lead people in your direction. Full-color banners can be placed inside the property to provide potential buyers with easy to read descriptions and images of property rooms. The most common of our real estate signage products, freestanding frames are easy to transport and are reusable. Realtors are able to choose from a variety of materials – with coroplast being our most inexpensive and aluminum being our most durable - for the actual property information and contact information. Our freestanding frames come in various sizes and configurations to fit one sign or real estate sign, rider and brochure box. Want to direct traffic to your open house? Coroplast, or corrugated plastic yard signs, are affordable enough to buy multiple signs and stick them on every block to direct potential home buyers to your property. You can even write temporary addresses on the sign that can easily be removed or covered up for your next property. Want to attract future clients? Take your message to the streets with full-color vehicle graphics. No matter what your budget is, we can transform your vehicle into a moving billboard that garners thousands of impressions per mile driven. In addition to those listed above, The Sign Studio has been offering clients signage packages that magically transform many real estate transactions from “For Sale” to “Sold”! ADA SIGNS – Common use in the Construction and Architectural Industries. In general, almost every sign that would be considered an "architectural" sign must comply with one or another of the ADA Guidelines. 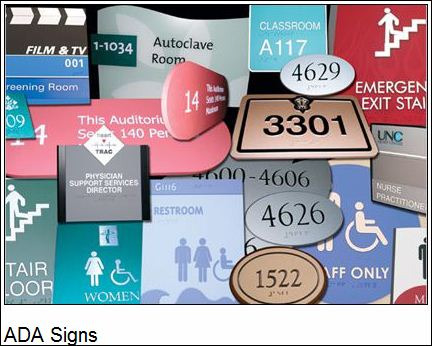 In other words, if a sign identifies a permanent room or space of a facility, including exits, directs or informs about functional spaces of the facility, or identifies, directs to, or informs about accessible features of the facility, it must comply. Signs for advertising and marketing purposes, temporary signs, company logos and names are examples of signs or sections of signs that do not have to comply. Although, because of the rules requiring Braille on some signs, the signage section is looked upon as benefitting persons who are blind and visually impaired, some of the sign guidelines benefit persons with mobility impairments or hearing impairments. In addition, one can say generally that easy to read and well thought out signage systems are of definite benefit to people who are deaf, have problems speaking, have cognitive disabilities or psychiatric conditions that cause them to avoid speaking to strangers. All signs must have non-glare backgrounds and characters. (Exception is for reflective parking and other traffic signs.) Glare and reflection are a major problem for persons with vision impairments, and particularly for the elderly. All signs must have a high dark to light (or vice versa) contrast between characters and their background. The important issue is not color, but lightness and darkness. Thus, a sign with very light gray letters on a charcoal gray background would be fine, but a sign with red letters on a black background would not. All signs must have "easy to read" typefaces. The rules are different for signs that identify rooms and spaces, and signs that direct and inform. That's because persons who are "functionally blind," that is, have no usable vision, are able to locate doors, and therefore can locate signs adjacent to doors that identify them, but have no consistent way to find directional and information signs that could be located anywhere along corridors. Directional and informational signs can use upper and lower case letters (recommended by many experts for visual readability) and "simple" serif typefaces of a non-decorative nature. No condensed or extended typefaces are allowed. Strokes are of medium weight, not too bold or too thin. The size of the letters is dictated by the distance of the sign from the expected position of the sign reader. 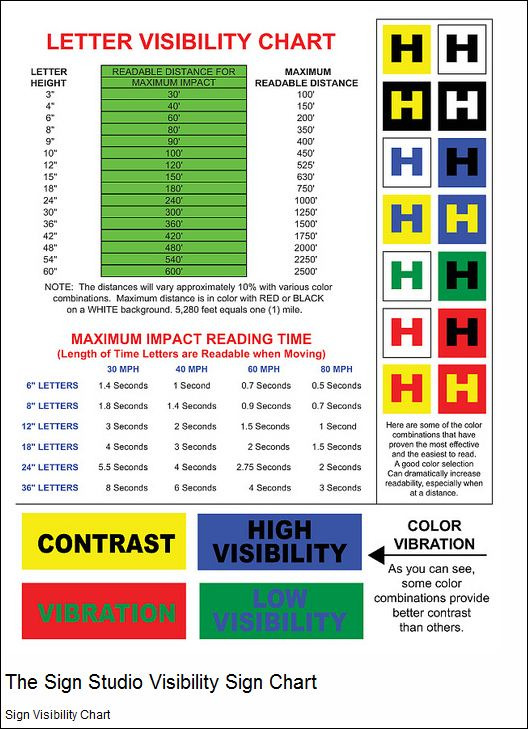 Signs high upon walls or overhead must have 3 inch high characters (measured by the uppercase character). Signs that identify rooms and spaces are to be located adjacent to the door they identify so they can be located by persons who are functionally blind. For the most part, one sign is used by both tactile and visual readers, so there are compromises to assist tactile readers. However, it is possible to use two separate signs with the same information. Tactile signs require uppercase characters in sans serif typefaces. (No, Helvetica is not required, other sans-serif typefaces can be used.) The characters can be from 5/8 inch to 2 inches high. The braille must accompany the characters (usually placed below the characters) and must be Contracted Braille (formerly called Grade 2 Braille). The signs are installed 60 inches on center from the finish floor. If pictograms are used to identify the space (example: restrooms with gender pictograms), they must be in a six inch high clear field and accompanied by a tactile character and Braille label below the field. There are four pictograms that stand for accessibility. One is the familiar International Symbol of Access, or "wheelchair symbol." It's used generally to show that persons with mobility impairments can access entrances, restrooms, or pathways. Three are specifically for persons with hearing impairments. The "ear" pictogram is the International Symbol of Access for Hearing Loss, and is used to show the availability of an assistive listening system. The "keyboard" pictogram stands for a TTY or text telephone. The "phone" pictogram with sound waves stands for the availability of a volume controlled phone. The actual standards for the signs (and most other standards used in ADA regulations and state building codes), are actually the product of the ANSI (American National Standards Institute) A117.1 Committee. This large committee is made up of a balanced group of representatives from industry, the government, disability organizations, designers, code officials, and experts. it meets in 5 year cycles to revise the last published standard. The standard is then used by the International Code Council for its model building code, and has formed the basis of the new version of the ADA Guidelines, now called the 2004 ADA/ABA and available on the website of the Access Board at http://www.access-board.gov/ They are already adopted by several federal agencies, and had been approved by the Department of Justice and were awaiting final review by the OMB when the Obama Administration came in. Ironically, although they are actually a product of the Clinton administration and have taken 8 years to make it through the Bush Administration, the Obama Administration now considers them Bush Administration regulations, and is holding them up. Therefore, they are back at the Department of Justice for a review by the new administration. 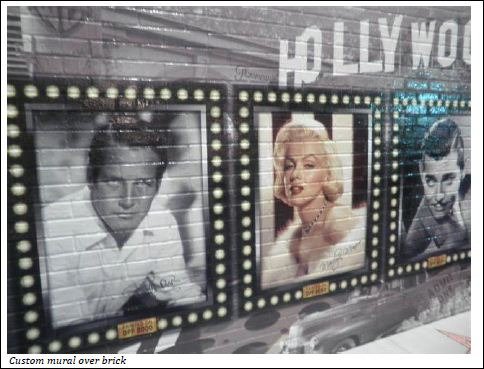 Temporary, re-positionable, or permanent wall coverings can transform ordinary walls into interior design masterpieces. Want to create a certain ambiance within your office easily and quickly? Are you a restaurant owner who wishes to transform your dining room into a Tuscan villa without waiting several weeks for an artist to hand paint a mural? The Sign Studio has the answer - custom printed wall coverings. Our vast selection of wall covering materials, including canvas, spun silk, suede, luster and plaster finishes, are eye-catching and allow for the largest possible color spectrum. We can produce true to life landscapes, photographs and art that look hand painted at a fraction of the cost and time of hand painted murals. Custom wallpaper can add sophistication and flair to an interior environment. 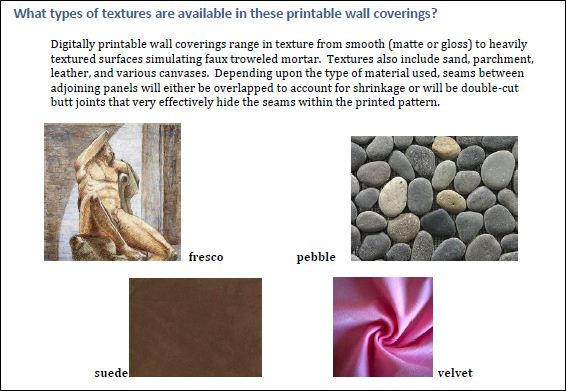 Did we mention several of our wallpaper materials are flame retardant? 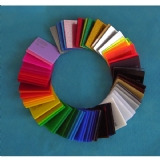 Installation of flame retardant wallpaper can lower your annual insurance premiums if reported to your insurance agency. Beautiful and economical, custom wall coverings will be a “must have” interior design trend for years to come. 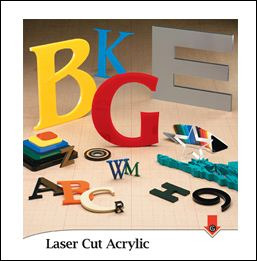 If you have any questions or need further information/samples, please give us a call at (818) 843-9200 or visit our website at www.signstudiola.com – You can also reach us by e-mail at info@signstudiola.com. Modular signage - A signage system that consists of pre designed elementary units. MCFT (Modular Curved Frame Technology) — A contemporary fusion between custom-made signage and modular sign systems that features a curved profile. Architectural Signage/Wayfinding Systems - A unified system of signs for a single facility that aid in wayfinding and identification of specific destinations within the facility. Signs include building and room identification signs, directional and informational signs and regulatory signs. In the US, all such systems must comply with the ADA. Indoor vinyl lettering & graphics can transform ordinary office & retail spaces into sophisticated, customer enticing locations. 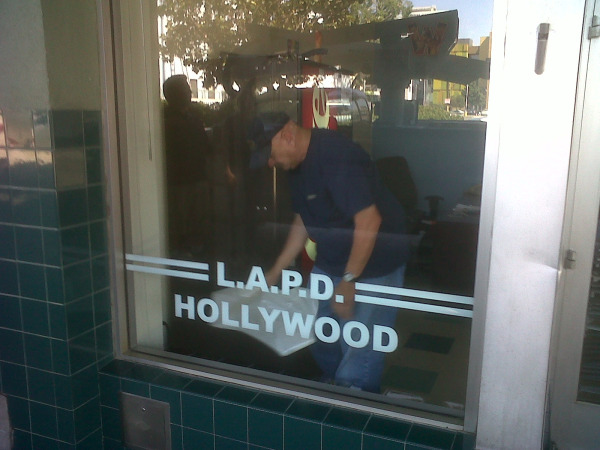 The Sign Studio’s indoor vinyl lettering & graphics are not only cost effective, but easy to install. Businesses of all sizes and types, including restaurants and retail outlets, can apply lettering and graphics to practically any surface to create an appealing environment for your clients. Are you a business that is trying to build a sophisticated identity? The Sign Studio’s etched glass vinyl graphics and vinyl give the appearance of costly etched glass cubicle walls and windows at a fraction of the cost. Etched glass can also be applied to interior office doors to direct patients and identify specific doctor's offices. Etched glass lettering on doctor's doors can build confidence in your practice. Interior graphics can be applied to fitness center walls to create a fun and exciting atmosphere for gym clients, while at the same time creating a distinguished brand. Call The Sign Studio today to discuss how custom vinyl lettering and graphics can help transform your business! It is very important that the majority of people passing by your business are able to see and read your sign with ease. People are driving past your business 24 hours a day. Make sure you are getting your message across to them clearly. Do not crowd your sign with too many words. This can make your sign very hard to read from a distance. Use as few words as possible. This is critical in order for your sign to be effective. Add the time and temperature to your display. You can also use an Electronic Variable Message Center. This can help make your business a community landmark. The addition of a Time and Temperature display or an Electronic Variable Message Center can make your business a landmark in your community. Using an electronic message center will give you the ability to change the message on your sign whenever you please. 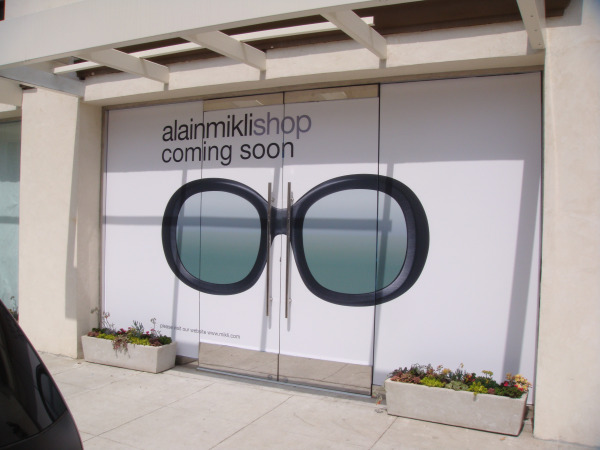 Your sign should intrigue your potential customer so much that they can’t help but stop and see what you have to offer. Be creative. Your sign is often times considered your first impression. Make sure you keep the 10 steps above in mind when considering what message to put on your sign. You want to make sure your sign is effective. Channel letters are a very professional way to identify your business. The Sign Studio produces the top quality channel letters that will give you the maximum style, clarity, and visibility for your business. 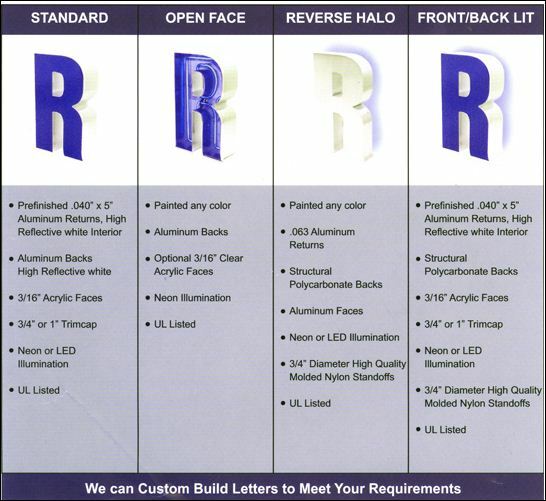 Our letters are constructed from aluminum, which weathers better than sheet metal; translucent acrylic faces and a custom-formed trim cap retainer. Our channel letters are internally illuminated with your choice of neon or L.E.D. lighting. There are two primary installation-methods for your channel letter sign: flush mounting & raceway mounting. The methods used for your signage depends upon mounting surface, access, landlord and other criteria. Call us today at (818) 843-9200 so that we can help you determine the type of channel letter and installation method that is best for your project. We are a fully licensed sign contractor and are able to pull the necessary permits for your installation. We will help you from concept to finish! If you have any questions or need further information, please visit our website at www.thesignstudola.com or send us an e-mail at info@signstudiola.com. You can also reach us at (818) 843-9200. With The Sign Studio’s custom ADA signage solutions, being compliant does not mean you have to sacrifice your brand! In summary, ADA signage is required at all restrooms, emergency exits, parking facilities, entryways and many more areas within any given facility. For business owners, keeping up with compliance standards can be overwhelming. That is where your personal consultant at The Sign Studio comes into play. We can provide business owners with custom company signs and office signs that are required by the Americans with Disabilities Act. Concerned that your business is not up to ADA standards?